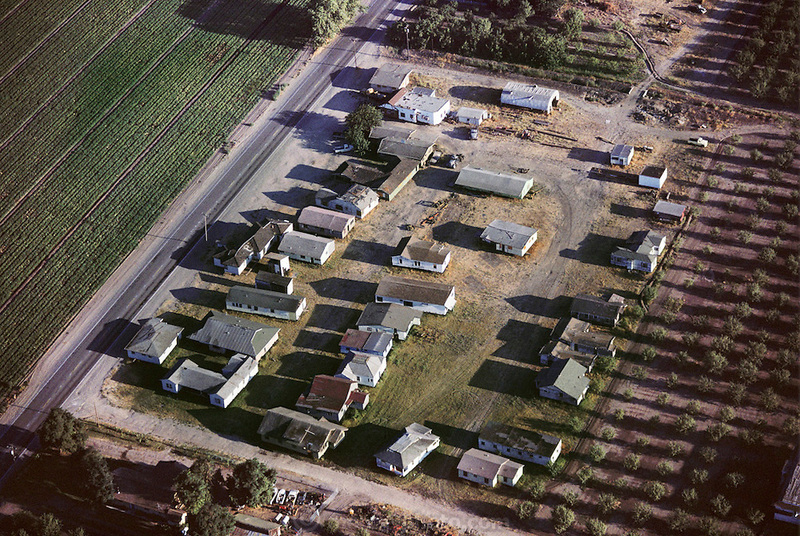 USA_HOUS_1_xs.Aerial of used house lot in Stockton, California. Old houses are moved from smaller farms and land that is being commercially developed, and put up for sale, like used cars. USA.